This video was removed by YouTube two hours after it was uploaded. Google “feminists” don’t like criticism. For Turkey’s Islamist leaders, Hamas is not a tactical alliance or a geopolitical necessity for the country. It is an age-old feature of political Islam capturing not just minds but hearts. Despite the nominal ‘normalization’ of diplomatic relations between Turkey and Israel, Ankara is still fully supporting a terrorist organization — one that Washington, among others, lists as terrorist. The Shin Bet’s report, the Istanbul conference and its contents, the official Turkish support for that conference and Turkish Foreign Ministry’s explicit support of Hamas make new evidence that Turkey insists on siding ideologically with a terrorist organization — ironically at a time when Erdogan claims Turkish troops are fighting terrorists in Syria. In 2014, Turkey hosted Salah al-Arouri, a Hamas commander whom the Palestinian Authority had accused of planning multiple attacks against Israeli targets. At that time, the newspaper Israel Hayom called Turkey’s important guest “an infamous arch-terrorist believed to be responsible for dozens of attacks against Israelis”. In August 2014, speaking at the World Conference of Islamic Sages in Turkey, Arouri admitted that Hamas had instigated the “heroic action carried out by the al-Qassam Brigades [the military wing of Hamas], which captured three settlers in Hebron.” The “heroic action” consisted of Hamas operatives kidnapping and murdering three teenage boys, an incident that triggered the spiral of violence that led to the 50-day war in Gaza. In December 2014, a Hamas leader confirmed that his organization was using NATO member Turkey as a refuge for logistics, training and planning terrorist attacks. The same month, then-Turkish Prime Minister Ahmet Davutoglu hosted the chief at that time of Hamas’s political bureau, Khaled Mashaal, at a high-profile party congress in Konya, Central Turkey. Taking the stage at the event, Mashaal congratulated the Turkish people “for having [President Recep Tayyip] Erdogan and Davutoglu.” His remarks were received passionately, with thunderous applause, the waving of Palestinian flags and thousands of party fans shouting, “Down with Israel!”. 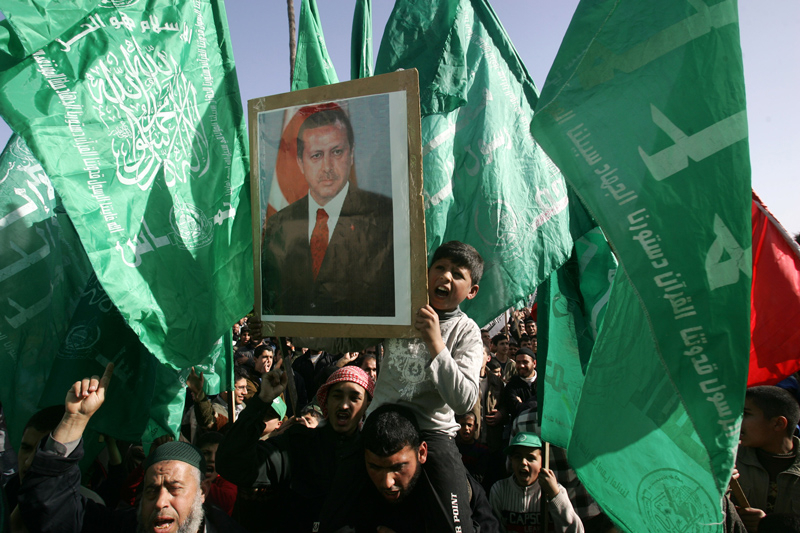 Stubbornly ignoring Hamas’s violent past –and present — Turkish President Recep Tayyip Erdogan has claimed more than once that Hamas is not a terrorist group but a legitimate political party. He has also repeatedly described Hamas militants as “freedom fighters”. In November 2016, Erdogan said again that he did not view Hamas as a terrorist organization; he called it instead a “political movement born from [a] national resurrection,” and mentioned that he meets with Hamas “all the time”. Recently, the U.S. government declared Hamas chief Ismail Haniyeh a “specially designated global terrorist” and imposed a raft of sanctions against him. 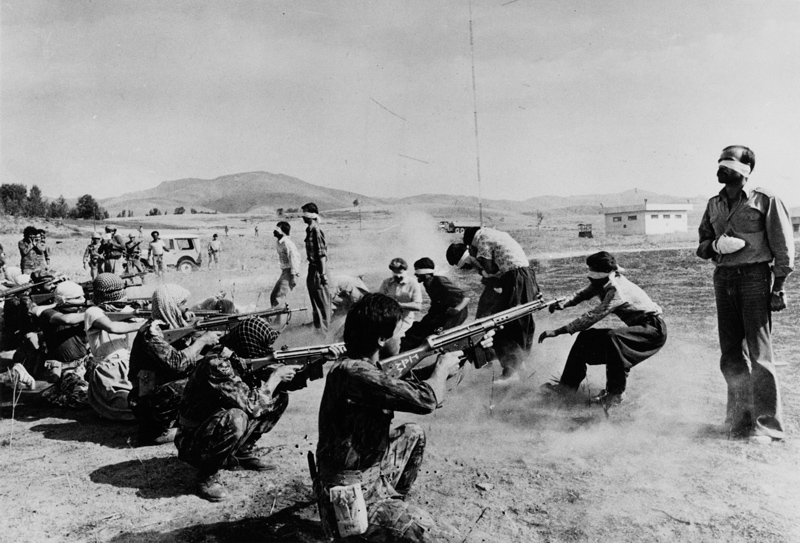 Immediately afterwards, the Turkish Foreign Ministry condemned the U.S. for this decision. Foreign Minister Mevlut Cavusoglu said that the timing of Washington’s decision was “suspicious”. Apparently, the Turkish love affair with Hamas is not only about nice words. Israel’s Shin Bet security service has announced that a Turkish law professor was deported and that an Israeli Arab was facing indictment over involvement in a Hamas effort to funnel money for terrorism to the West Bank and Gaza via Turkey. According to Shin Bet, both men were recruited by a Hamas operative who was deported from the West Bank after Israel released him from prison in 2011 as part of the deal to ensure the release of captured Israeli soldier Gilad Shalit. Enter Arouri — again. The Hamas recruiter, according to Shin Bet, was one of the chiefs of Hamas’s West Bank Command, headed by Arouri, until recently Turkey’s very important guest. The Hamas West Bank Command’s mission is to plan and fund acts of terror in the West Bank. The Shin Bet also accused Turkey of aiding Hamas’s military build-up by means of a Turkish company called SADAT, a security services and training specialist. SADAT’s owner, Adnan Tanriverdi, is a retired Turkish general who is now one of Erdogan’s chief advisors. “To defeat Israel, the country must be forced into defensive warfare, all of its forces must be engaged and the war must be prolonged. “What should Turkey do? The resistance units in Gaza should be supported by anti-tank and low-altitude anti-aircraft weapons. “Turkey, Iran, Syria, the Iraqi Resistance Organization and Palestine should form the nucleus of a defense structure. Within this context the formation of an Islamic rapid reaction force consisting of an amphibious brigade, an armored brigade and an airborne brigade should be encouraged”. PM Netanyahu’s Remarks at the Conference of the Presidents of Major Jewish Organizations.